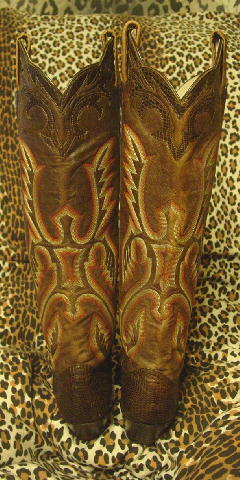 These leather cowboy boots are by Larry Mahan. 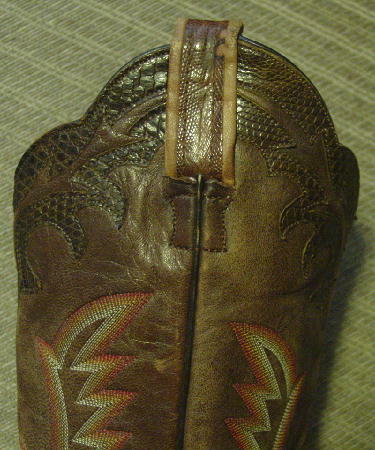 The shoe area and upper design area are in a dark brown reptile with the boot straps in a lighter brown reptile. 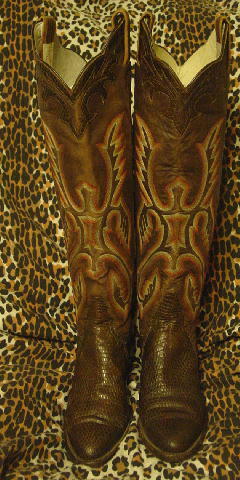 The reptile on the boot straps are edged in light brown leather. 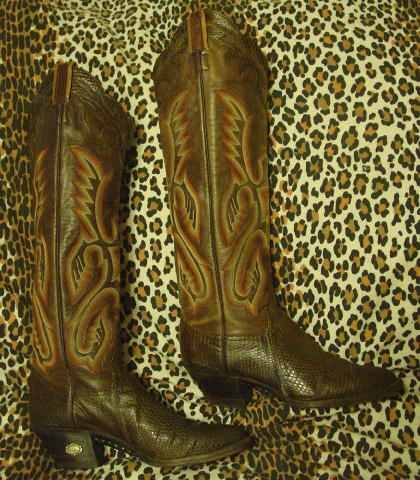 The brown leather on the legs of the boots is soft. There's a thread design on both the inner and outer legs in white light orange and red. The wood stacked heels are angled, and the inner side of the heel on the left boot has a silver-tone oval design ornament. The boots and stacked heels have some scuff marks. 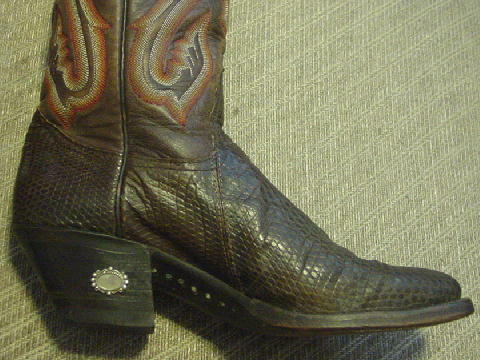 The reptile on the outer boot strap of the right boot has a few pieces missing. 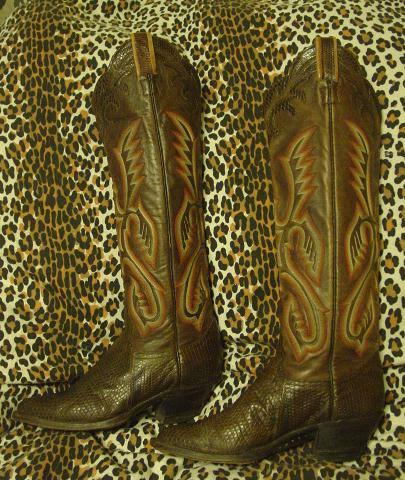 They're from a Hollywood actress who sold her horse. bottom of heel to top center of boot 18 1/2"
bottom of heel to top back of boot 16 3/4"